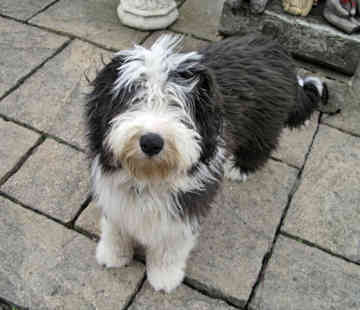 The Bearded Collie is a medium-sized working dog with an air of strength and hardiness. The head is proportional to the body with a moderate stop and a flat, broad skull. The foreface is the same length as the distance between the occiput and stop, and the muzzle is full and sports a square-shaped nose of large size. Eyes are wide-set, their color depending on the tone of the coat, framed with arched brows that blend into the coat. The expression is one of soft affection and intelligence. Ears are level with the eyes, hanging and small with a covering of long hair. The body is slightly longer than it is high, lean and muscular without heaviness. The tail is low set with a slight curve, held higher when the dog is active. 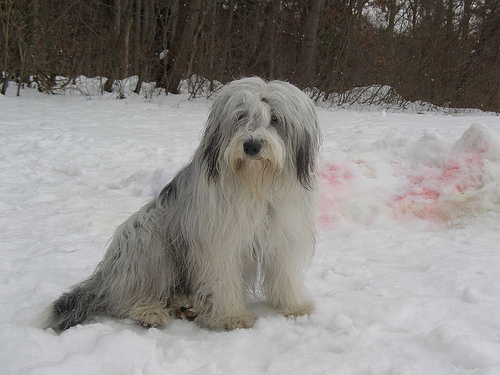 The coat features a close, furry undercoat and an overcoat that is long, flat and shaggy. Color can be fawn, brown, black or blue with possible white markings. 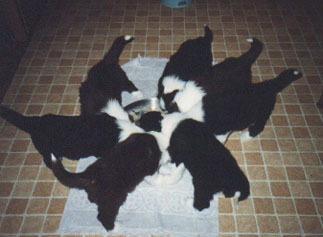 They require a great deal of physical activity and are quite boisterous, especially when young. These dogs can also be quite stubborn; because of this, they require an owner who can devote plenty of time to training and can provide firm yet kind discipline and handling. 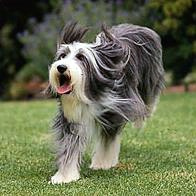 Bearded Collies love to chase anything from cars to small animals and passing joggers, so it is important to teach your Beardie the proper way to behave and provide it with lots of exercise. 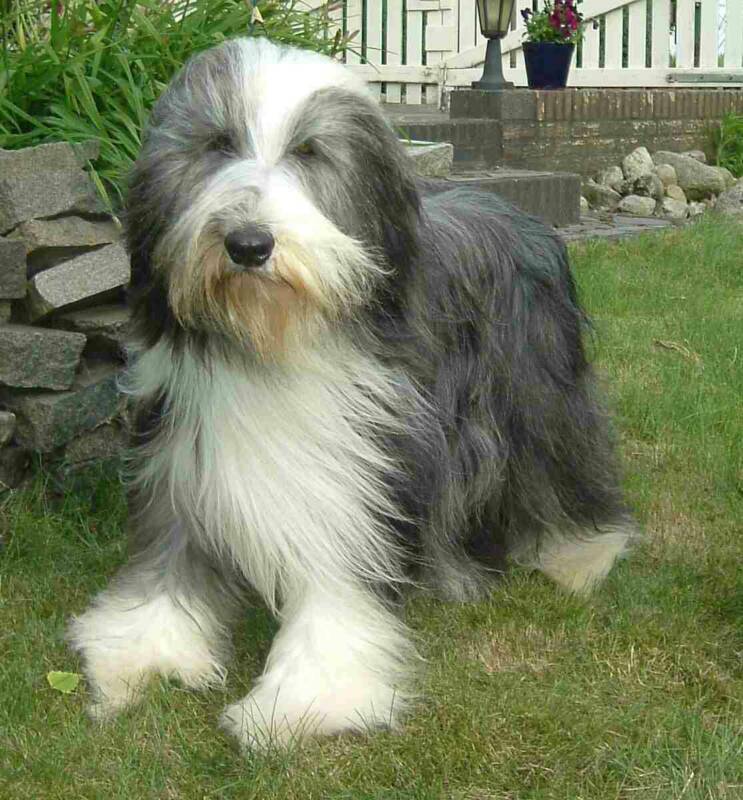 If a Bearded Collie is not exercised enough or socialized properly, it can become destructive out of pure boredom. All in all, the average Beardie is affectionate, gentle and friendly with children and adults. Always comb and brush your Beardie before bathing it. Begin each grooming session with a thorough brushing using a boar-bristle brush. Next, use a nylon pin brush all over the body to further loosen tangles and mats. Then, you'll want to use a sturdy comb to remove tangles and mats from the coat. Keep the nails trimmed and the ears clean. It is recommended that you brush the coat lightly once a day, then spend more time and do a thorough grooming session once per week. The dog is better suited to cooler climates, but manages fairly well in temperate to warm climates as well. 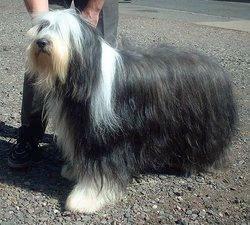 Also, as the Bearded Collie is a naturally athletic breed, it needs plenty of exercise every day. 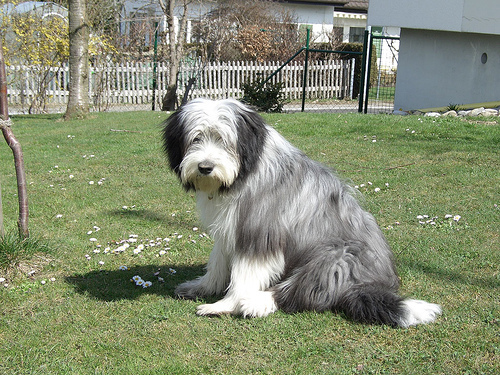 While the Beardie is a fairly healthy dog, occasionally one will see epilepsy, colonic disease, canine hip dysplasia or pemphigus in the breed. 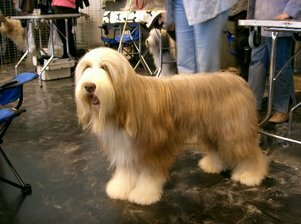 From this pair, a hardy breed of canine that would one day be affectionately referred to as the Beardie by its owners developed in Britain. For hundreds of years, the dogs were used for herding and to perform other farm duties, but no artistic or literary mention of the breed would surface until the latter part of the 18th century. A 1771 portrait of the Duke of Buccleigh shows two dogs that are unmistakably Bearded Collies, and sports and livestock journal submissions from the early 1800s began to establish the breed standard. 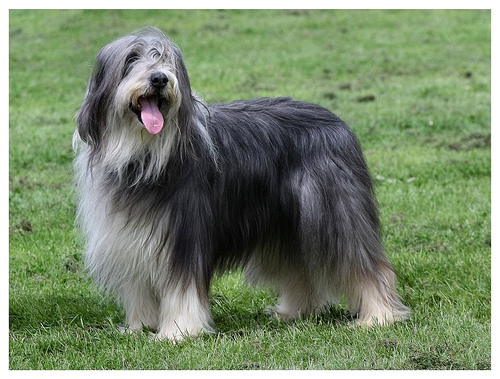 The Bearded Collie was further described in 1891 in the book Dogs of Scotland by author D.J. Thompson Gray. 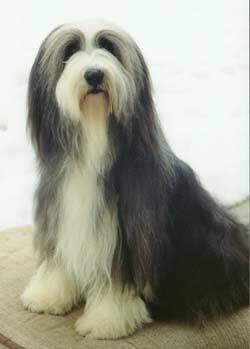 In 1912, the Bearded Collie Society was founded in Edinburgh, but the society was forced to disband shortly thereafter due to the outbreak of World War I. 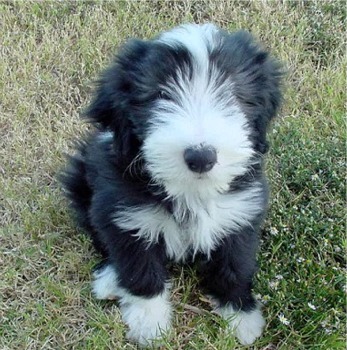 The Bearded Collie did not make it onto American soil until the late 1950s, and was not bred in America until 1967. 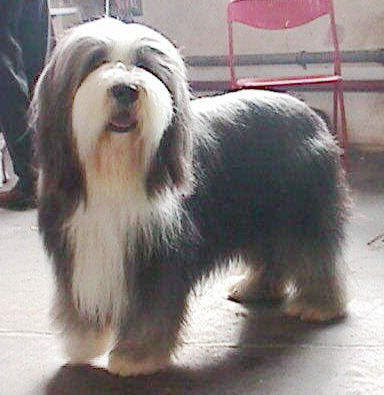 Two years later, the Bearded Collie had become popular enough to warrant a club in its honor, and the Bearded Collie Club of America was founded. In 1977, the American Kennel Club officially recognized the breed. 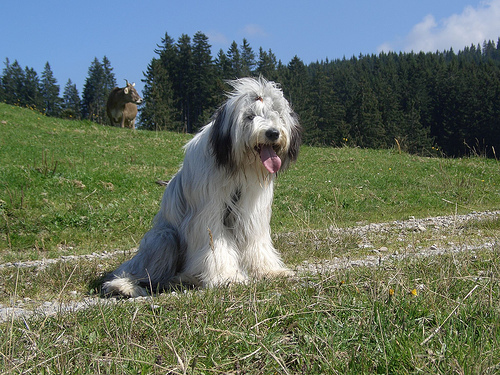 Since then, the dog has found great success as a show dog and as a competitor in herding trials.